Retail is seasonal by nature, and it is inevitable that you will have slow days, weeks, and even months. 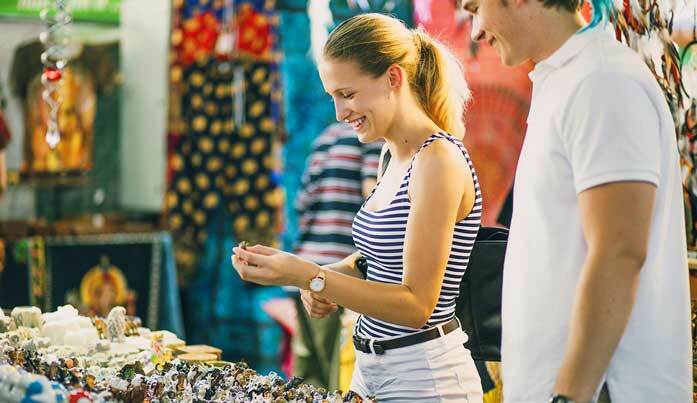 Many forces will be beyond your control, such as weather and consumer confidence, but there are plenty of changes that you can make to start selling more souvenirs today. Souvenir shoppers often look for products that are unique to the area, or at least reflective of the local culture. Stocking products from local artisans, makers, and manufacturers is a sure way to please travelling tourists. As an added bonus, buying locally drastically reduces expensive shipping costs. Once a shopper has decided to purchase, you’ve already overcome the biggest hurdle. Promoting multi-item sales is an easy way to upsell customers and increase your average customer spend. Volume discounts are a popular strategy for encouraging larger purchases because they also offer a great deal for shoppers. Many travellers are already looking for souvenirs to bring back to multiple friends or family members, so buying in bulk can be an advantage. It may seem counterintuitive, but inviting shoppers to spend more time in your store can increase your overall sales. In a Wall Street Journal article, experts reveal “slow shopping” or slowing down the shopping with leisurely and enriching experiences can increase a customer spend by up to 40%. So create inviting lounge areas, offer tea, demo products, and provide interactive product demonstrations. To sell more souvenirs, move your products on a regular basis. If one product isn’t selling particularly well, move that product to another display and surround it with different merchandise. If your store gets really crowded, you might even want to have some of your favorite or best-selling items in two different places, to ensure no shopper misses out on finding it. Tourists and travellers will be researching online for fun places to visit and things to do. Tempt them into your store by having an active social media presence, especially on review pages like Yelp. Host classes, workshops, and special shopping events to draw in an even bigger crowd.